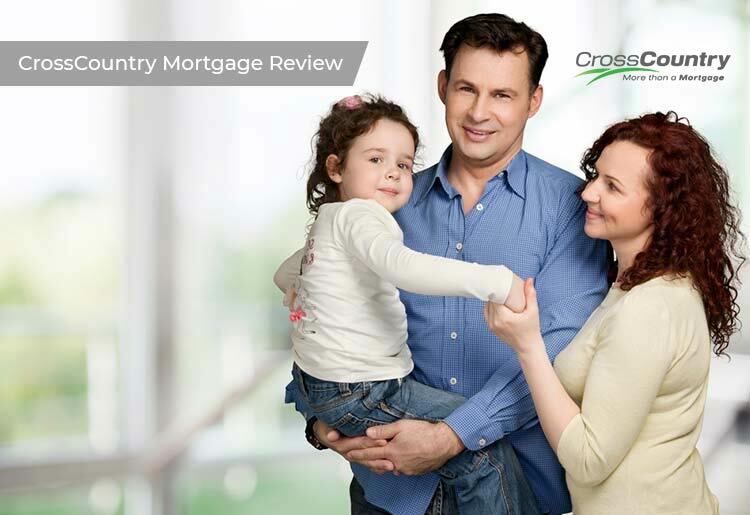 CrossCountry Review I Online Mortgages Made Easy. CrossCountry Mortgage does everything a lender could, offering refinance, purchase loans and home equity loans, as well as government backed FHA and VA loans. They offer mortgages that range from 10-30 years with added benefits for borrowers who prequalify. With an extensive portfolio of home equity, home purchase, and refinancing options, CrossCountry is a solid choice for first-time home buyers. CrossCountry is licensed in all 50 states and takes great pride in going above and beyond to meet customers’ needs while exceeding expectations. CrossCountry is an established mortgage loan company with a team of knowledgeable loan officers who accompany customers throughout the entire mortgage process. CrossCountry provides a wide variety of financial products and is best known for its home purchase and refinance loans. While CrossCountry strives to help first-time home buyers purchase their first starter home, it is also a great option for anyone who’s in the market to refinance, or wants to check the equity of their home. Anyone looking for a loan to consolidate their debt can also rely on CrossCountry. CrossCountry offers traditional fixed rate and adjustable rate mortgages, as well as a wide variety of other loans. The lender offers multiple rates and terms on traditional loans, adjustable rate loans, VA loans, and even FHA loans. The application process at CrossCountry is simple and fast and you can get prequalified by filling out the easy online application. Alternatively, you can call the loan officers at CrossCountry to apply for a mortgage over the phone. The application process is completely confidential and secure, and applications are reviewed in a timely manner. Financial information, such as bank account information, and Social Security numbers are required. A loan officers will get in touch with you promptly to review your loan options. For fixed rate mortgages terms typically range between 10 to 30 years. Adjustable Rate loans are also offered by CrossCountry with common terms of 5/1, 7/1 and 10/1. Repayment terms vary from loan to loan but a licensed loan officer can inform you of the repayment terms on the various loan options. The support staff at CrossCountry have been specially trained and licensed to guide buyers through every step of the mortgage process. Help and support is available if you have questions or concerns regarding your mortgage or if you just want to check the status of an application. So, Should you Borrow with CrossCountry Mortgage, Inc.? CrossCountry offers a wide range of purchase and refinance options great for first-time homebuyers, as well as traditional home loans such as FHA and VA loans. For applicants who need help during the process, CrossCountry's team of highly-skilled loan officers are always on hand to offer advice.